One of the most common pieces of travel advice is that you should wait for last-minute deals to save money on a trip. This strategy does work, and there are people who save money on planning travel this way. However, this strategy tends to be more effective for vacation packages rather than for booking flights for personal and business travel. What are the real costs of last-minute travel? Is holding out until the very end really worth it? Are the cost savings as good as many claim? What impact can it have on a person’s travel plans? 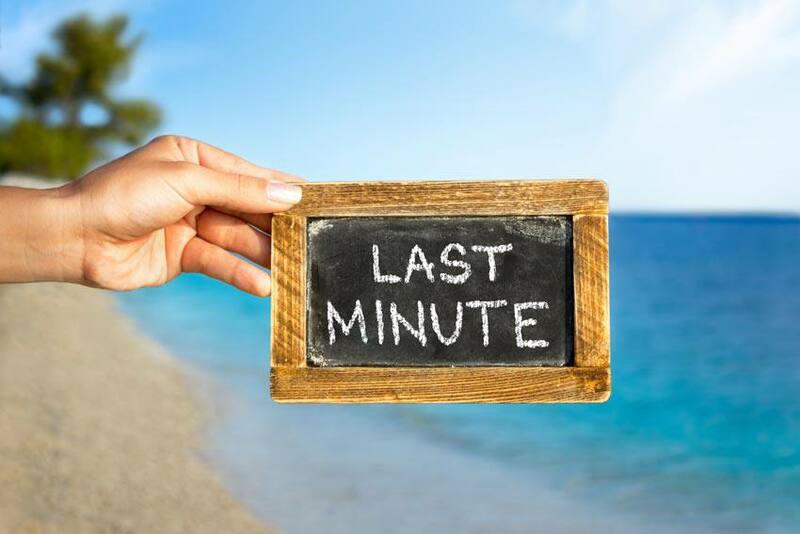 What type of travel does last-minute booking affect? Concur, a provider of integrated travel and expense management solutions, recently released the results of a survey it conducted on this topic. "It's common knowledge that last-minute air travel will cost significantly more, but booking those last minute tickets eight days in advance is the sweet spot for keeping those last-minute costs as manageable as possible," says Tim MacDonald, senior vice-president at Concur. "With more data, businesses can make smarter decisions about business travel policies, budgets and back-end processes that ultimately save resources." How does this affect travellers? It is clear that how early in advance you book will impact your travel costs, especially for booking business travel. Even though it can sometimes be difficult to book well in advance, booking as soon as you know you will be travelling can help you minimize the increased airfare. Consider working with a travel agent for booking business travel. If possible, avoid booking trips during peak travel season. Shop around to get the best deal on airfare. Factor in additional travel costs and fees when considering your options. One thing you should never leave until the last minute is travel insurance coverage. Travel insurance is an essential part of your business trip. If you are a frequent flyer and travel regularly, consider travel insurance for multiple trips. This option will help you save money on travel insurance, helping to lower your overall travel costs. Get protection now and travel worry free with Blue Cross insurance.